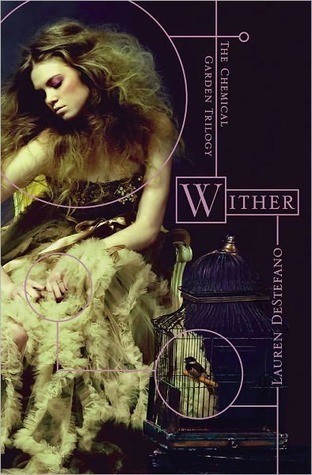 I am most grateful for Wither by Lauren DeStefano. When I first picked up Wither, I was so happy I even got my mitts on it-I was hold #22 on the list. I adored the cover, let's face it-the girl is gorgeous and the cover is eerily representative of the plot. Why did I choose Wither? I loved the author's portrayal of Rhine. Rhine is one of those rare strong female main characters, there aren't enough of those in young adult books these days. Boo to the constant criers and "waiting on a princers." There IS a place for those types of female characters, but in a dystopian, one needs a strong female character. Rhine managed to embody the bravery, determination, and extreme perseverance that made her easy to respect, like, and relate too. I adore dystopians, though I don't think that it is *likely* (I hope not) that our world will ever resemble Rhine's. I love the plot of Wither and the concepts behind the plot gave me so much to think about and consider. 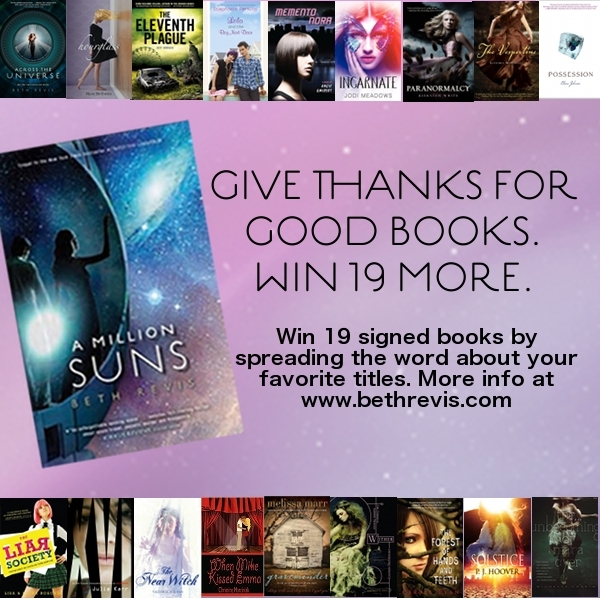 I think that when a book can make a reader love the characters and plot so much so that he/she thinks about the book and remembers months/years after finishing the book, that book must be something special. I haven't had the pleasure of reading Wither as yet, but I hope to get a copy before too long.